Ellacoldi began at the beginning of 2008. 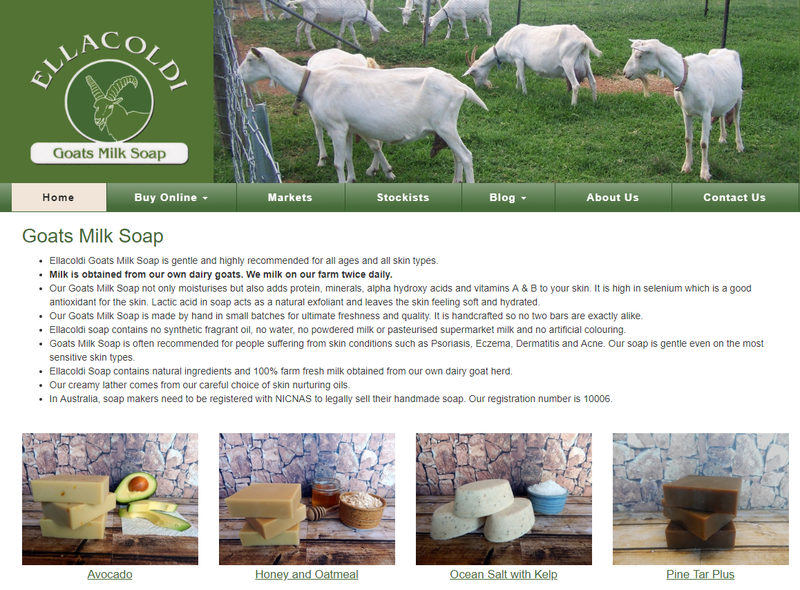 Our goats milk soap is produced on our farm in Tamworth and the milk comes from our herd of registered Saanen dairy goats. All our soaps are 100% natural and are formulated to help people with skin conditions. Ellacoldi has had a website since 2009 and a Facebook page since 2011. We acknowledge that our understanding of social media and it’s uses were limited. However, after engaging with Digital IQ, we have improved our social media presence and are in the process of updating our very successful website. The team at Digital IQ has opened our eyes and our minds, to the ever evolving market place, in which we operate. Since we completed this program, we no longer use traditional print media and now do all our marketing online. We feel that the Digital IQ team has contributed to the ongoing, significant growth that Ellacoldi is experiencing.